Have you ever searched your business on a search engine and found that the listed hours were incorrect? Even worse, did you see your competitor’s company information showed up before yours? 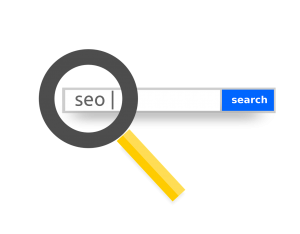 It’s estimated that 92% of internet searches pick a business that’s on the first page of the results, regardless of the search engine platform. If you don’t have a business listing, your customers likely won’t do the extra work to find you. With DynamicListings™, we can optimize your business, not just on Google, but on close to 70 directories, search engines, and maps. 61% of internet users do research on a product online before making a purchase, so having your business listed in as many places as possible increases your online visibility. There are countless benefits to using DynamicListings™ for a storage company, including the five below. If you’ve ever forgotten a password and then created a new account for your business, you could be missing out as customers find inactive pages and wonder if your company has since closed. DynamicListings™ ensures you have one page for your business on every important website. Having multiple profiles for the same business is considered a poor SEO practice, so having one consistent business page on each site will help search engines determine that you’re a real business, thus potentially helping your rankings. Without DynamicListings™, a sneaky competitor could easily claim your business as their own, changing your contact information and hours! We all hope that doesn’t happen, but with DynamicListings™, you can proactively prevent it from ever happening. We’d all like to believe nobody would ever hijack your business listings, but with DynamicListings™, you’ll never have to worry. Are you closed on Christmas Eve, or open on the fourth of July? With DynamicListings™, you can control the information that shows up on your page when customers search for you on up to 70 maps, search engines, and directories! This can help increase your organic, local rankings, and generate sales leads. 58% of customers have used voice search in the past year to find a local business,which means it’s more crucial than ever to make sure that the information they hear is accurate. 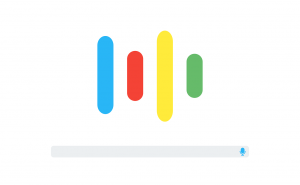 Whether it’s Alexa, Siri, or Google, users rarely look for more information than their voice search tells them, so being able to provide customers with optimized voice searches increases the likelihood of them finding your business instead of a competitor’s.
. Looking for a cost-effective way to potentially show up higher on search results? Optimizing local listings on a variety of platforms is your best bet. If you don’t have a website, contact information, or hours posted, Google and other search engines won’t be able to optimize your profile. For example, did you know that the Google Maps mobile app has more than 1 billion downloads? And that’s just one map service! When you don’t have listings on these services, you’re missing out on a huge market.